Style and purpose.This is a rather basic set of lectures in algorithms, with an advanced focus. Cryptography and randomization are discussed as non trivial fields of algorithm application. Contents. Six lectures organized as follows: 1. Coding and encryption of information. Basic concepts on representing num-bers, sets, and algorithms. An overview on cryptography and its development in history. 2. 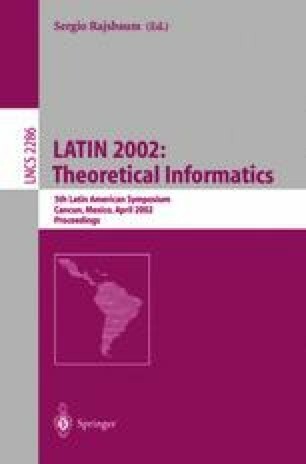 Algorithmic paradigms and computational complexity. Iteration and recur-sion. Lower and upper bounds on time and space. 3. Tractable and intractable problems. The classes P, NP, NP-hard. 4. The role of randomization. Random sources and random number generators. Hash functions. Randomized algorithms. 5. Symmetric and asymmetric cryptography. From DES to AES. Public key cryptosystems and RSA. 6. Cryptography on the Web. Identification, authentication, and digital signa-tures. Certification Authorities. The protocol SSL.